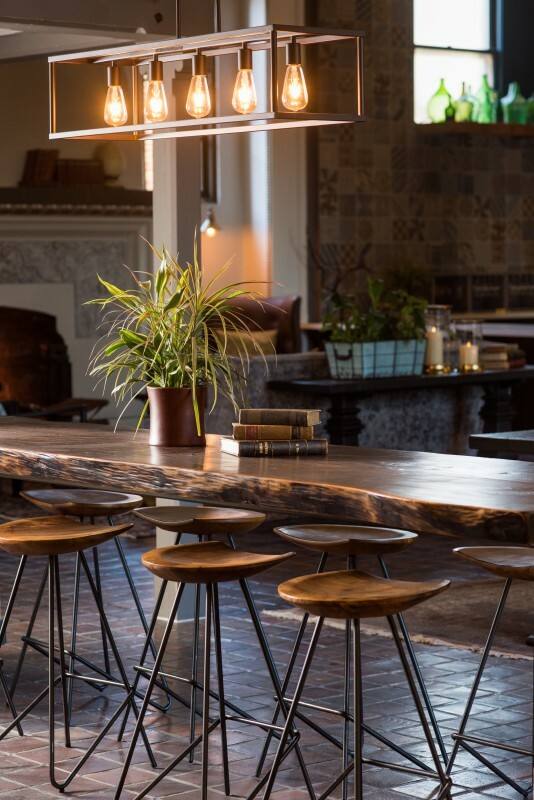 Hotel Petaluma’s new design and materials recall its glory days. 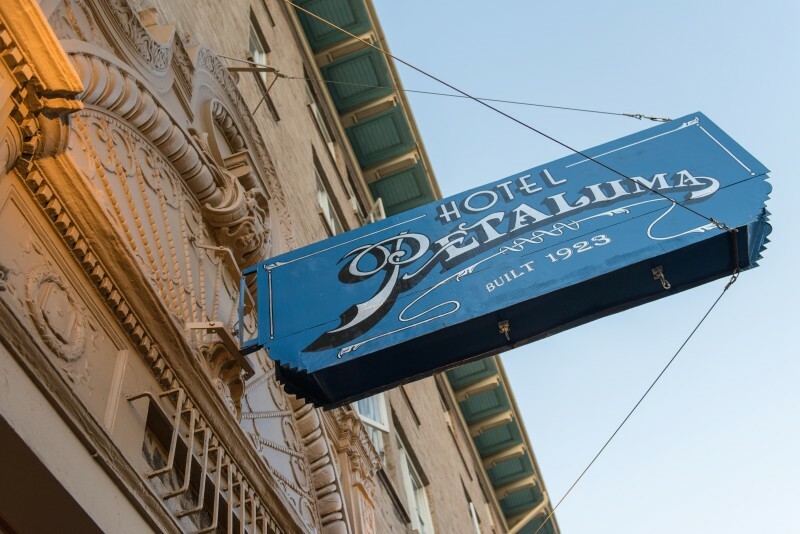 Hotel Petaluma may be 94 years old, but it’s gleaming like new again, with all the grandeur of its earliest days. 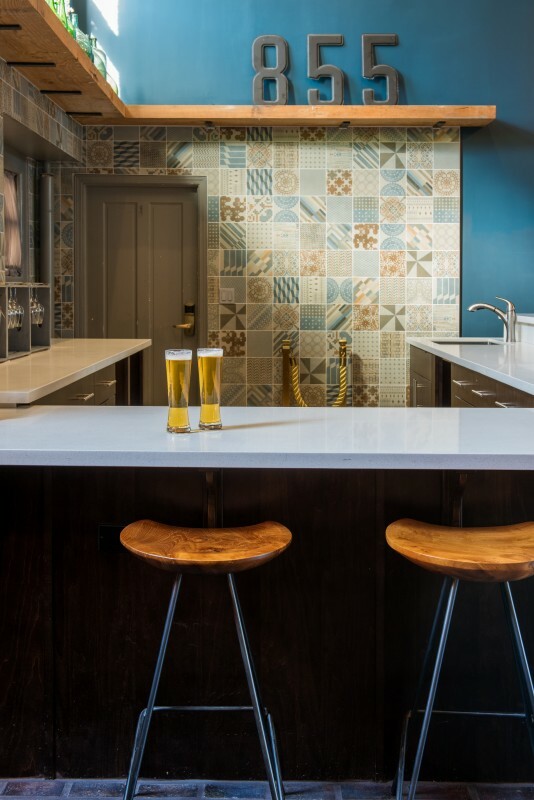 So refreshed is this charming hotel that it even boasts a new address, with its main entrance now facing Kentucky Street instead of bustling Washington Street in its namesake city’s downtown historic district. 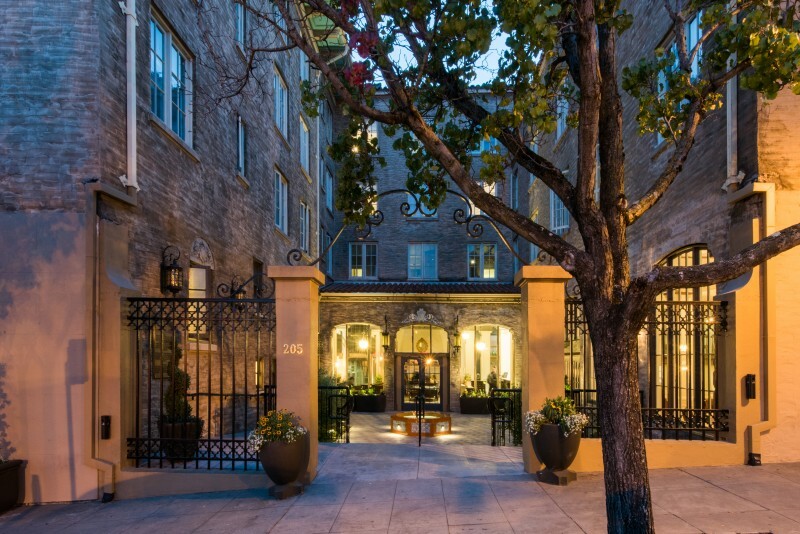 The new courtyard entrance has been renovated to appear exactly as it did when the building was constructed in 1923. It stayed that way until the 1940s, when a roof was erected over the inlet and it was converted into an enclosed cocktail lounge. 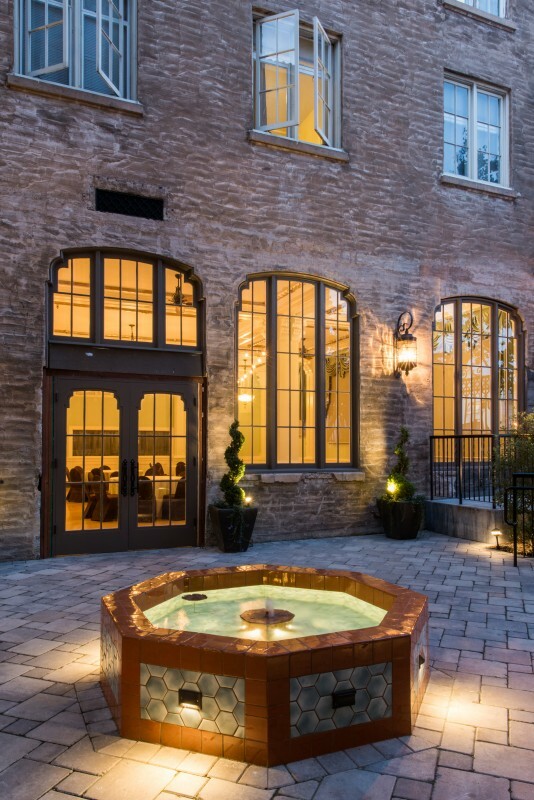 When Satish Patel and Dipak Patel bought the building in 2015, reviving the original courtyard was a primary aspect of their plan to bring the past alive, while also adding up-to-the-minute modern conveniences like flat-screen televisions, free Wi-Fi and plush bed linens. Petaluma restoration contractor Christopher Stevick was brought in to create a replica of the original plaster motif of cherubs surrounded by vines and flowers above the new front door, rebuild entryway columns and erase the tar line left on the courtyard’s stone walls after the roof was taken off. A new hexagonal fountain recalls one removed long ago, and lush landscaping is taking hold. 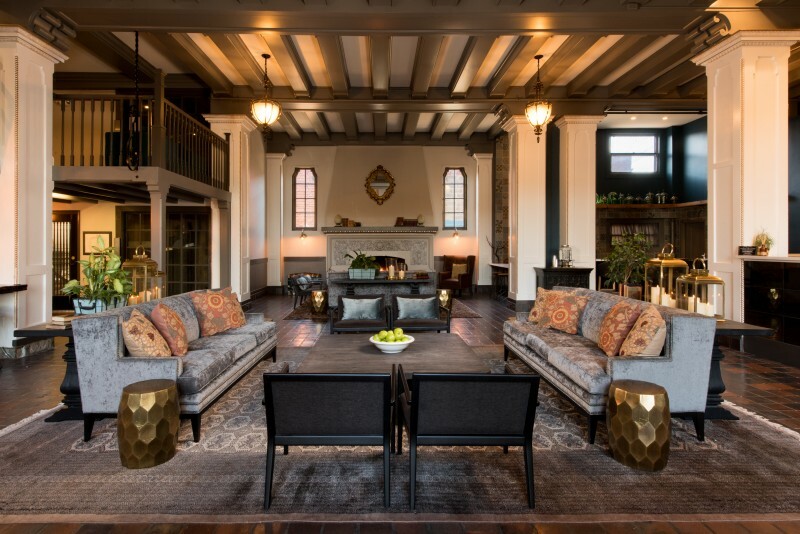 The massive lobby now has deep sofas and comfy chairs, while the original tile flooring and imposing, wood-manteled fireplace maintain the yesteryear feel. 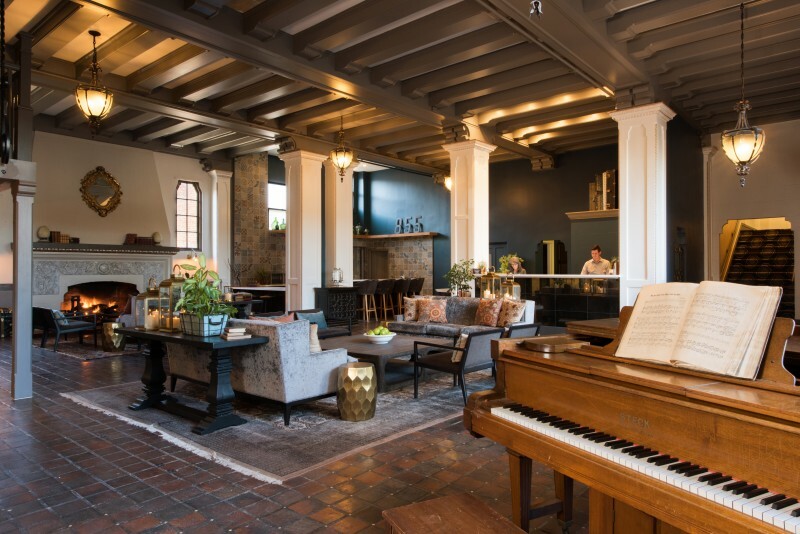 Guests and a few hotel staff members often play the antique baby grand piano, its music wafting throughout the building. 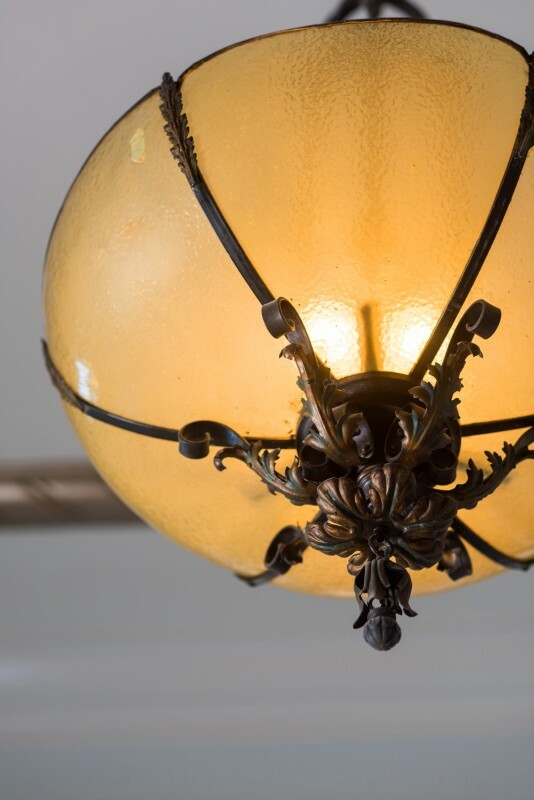 The owners, business partners who happen to have the same surname, were delighted when an exploration of a storage area revealed 10 of the hotel’s original amber-colored, multipaned chandeliers that had been tucked away during the many years the hotel was occupied by long-term residents rather than temporary guests. The chandeliers were cleaned and restored and now enhance both the lobby and ballroom. 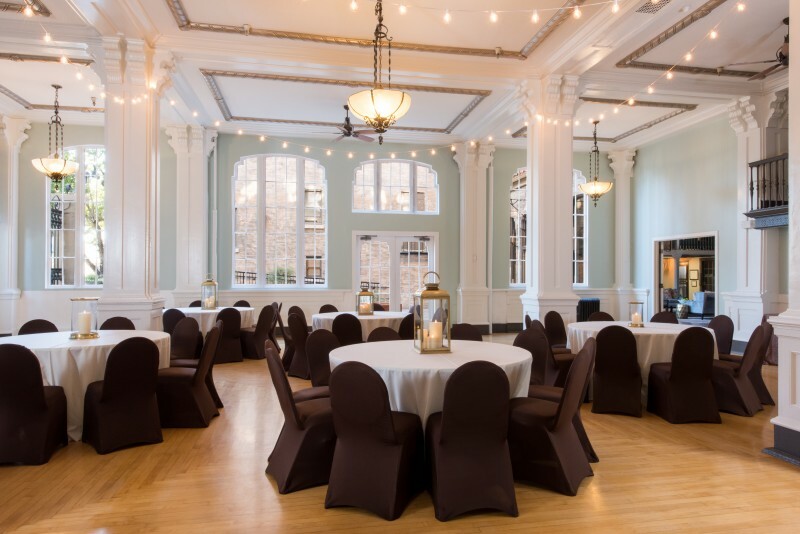 The 1,900-square-foot ballroom is completely upgraded, including restored windows and a new sound system. There are also two large meeting rooms, which can be rented separately or in conjunction with a large corporate event. LinkedIn recently used the facility, and wedding reception bookings are filling up the weekend dates. The final addition to the hotel, to come later this year, will be something it’s never had in its long history: an outdoor rooftop lounge with a view of the distant hillsides and the nearby historic granary. 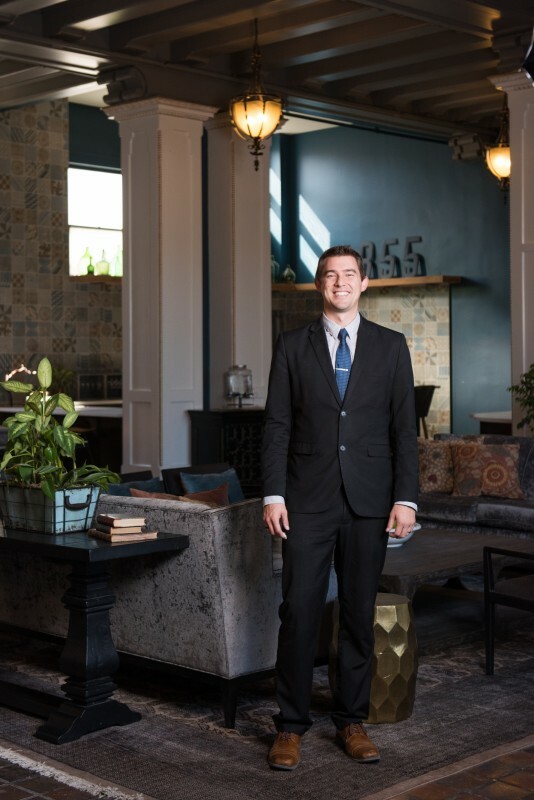 To reach it, guests pull open the traction elevator door themselves and step into the oldest elevator in Petaluma, which is now completely up to code and zips up the hotel’s five floors with modern-day speed. 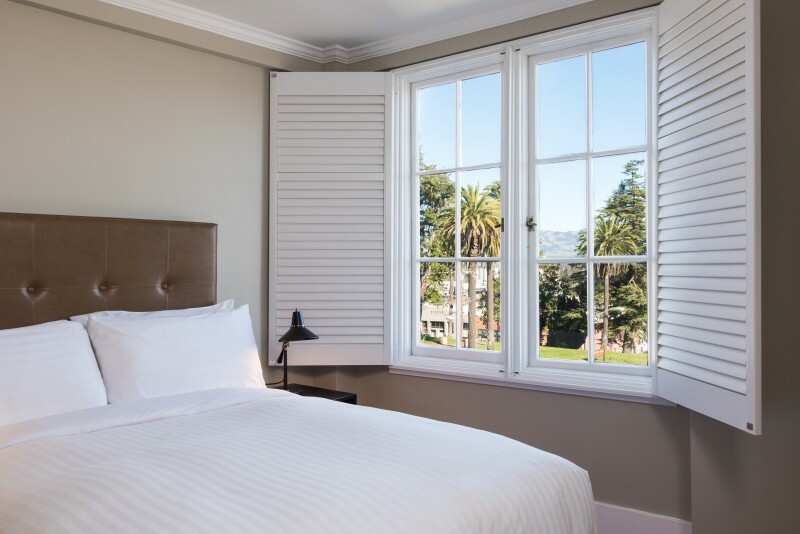 It’s another way guests are reminded of the hotel’s long history — one that includes housing business executives in the chicken and egg industry, as Petaluma was the largest poultry and egg producer in the country at the end of the 19th century. Hotel Petaluma was also a social center where lavish dinners and formal receptions were held. During the 1960s the Elks Lodge owned the property, and it was the main gathering spot in the business district. More recently, Hotel Petaluma had been a single-room-occupancy hotel housing mostly lowerincome residents. 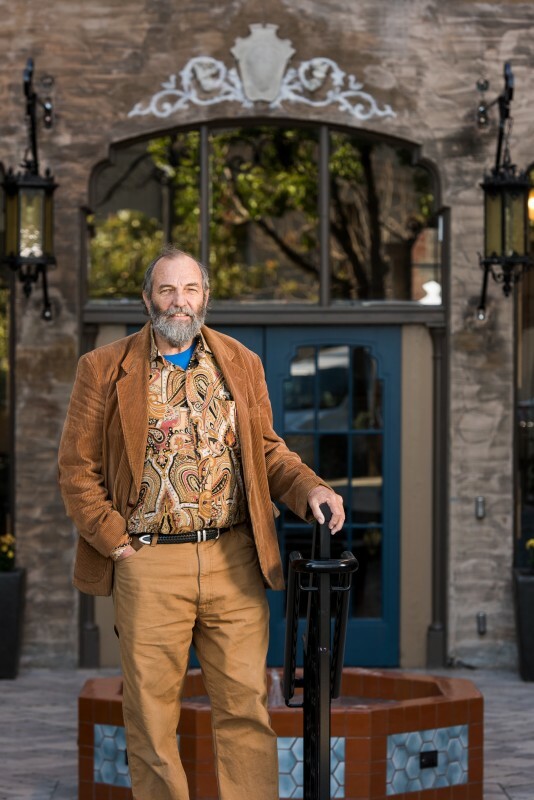 That changed when Terry Andrews, who owned the hotel with his family from 2012 to 2015, decided to return the building to its former function of a traditional hotel for overnight guests. Words as true now as they were in 1923. 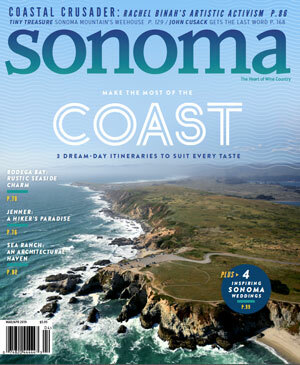 Groff is pleased to offer three on-site businesses to meet guests’ needs away from home: Truck and Barter gift shop featuring American-made products; Barber Cellars Tasting Room, the first in downtown Petaluma, where guests can enjoy complimentary wine and cheese on Friday evenings; and The Shuckery, a seafood restaurant that features oysters, oysters and more oysters. The Shuckery also operates Bar 855 in the hotel lobby. It’s the perfect place to relax with a Manhattan or a martini, toasting to a bright future while enjoying surroundings that preserve the luxury of the good old days.